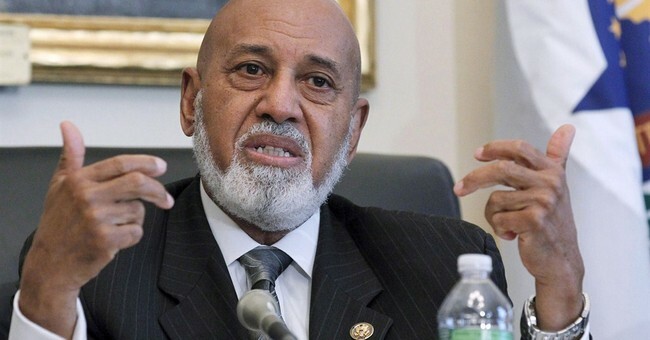 Documents show that the United States Treasury used $220,000 of tax payer money to settle a lawsuit alleging sexual harassment committed by Florida Democrat Alcee Hastings against one of his staffers, reports Roll Call. It is worth noting that Rep. Alcee Hastings was indicted by a grand jury in 1981 for accepting bribes as a Federal Judge in exchange for a shorter sentencing for two-mob convicted felons, according to senate.gov. Hastings was charged with conspiracy and obstruction of justice for soliciting a $150,000 bribe in return for reducing the sentences of two mob-connected felons convicted in Hastings’ court. A year after Borders was convicted of conspiracy, the result of an FBI sting effort, Hastings's case came before the criminal court. Despite Borders’ conviction, and the fact that Hastings had indeed reduced the sentences of the two felons, he was acquitted in a criminal court in 1983 and returned to his judicial post. "Subsequently, suspicions arose that Hastings had lied and falsified evidence during the trial in order to obtain an acquittal. A special committee of the 11th Circuit Court of Appeals began a new probe into the Hastings case. The resulting three-year investigation ended with the panel concluding that Hastings did indeed commit perjury, tamper with evidence, and conspire to gain financially by accepting bribes. The panel recommended further action to the U.S. Judicial Conference, which, in turn, informed the House of Representatives on March 17, 1987, that Judge Alcee Hastings should be impeached and removed from office." Following years of committee proceedings, the Senate found Hastings guilty on 11 of 17 articles of impeachment. Former Ku Klux Klansman and Democrat icon Robert Byrd ordered Hastings removed from office, acting as the Senate president pro tempore. But, the senate did not bar him from holding future office. Four years later, Hastings was elected to Congress where he has held office ever since.